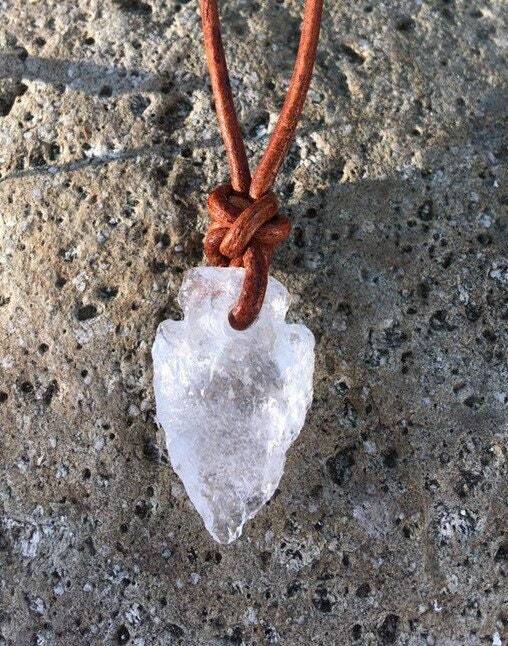 This beautiful, raw, quartz crystal arrowhead is made into a lovely, necklace. Simple and sweet. The arrowhead is 1 1/8" long and 3/4" wide. 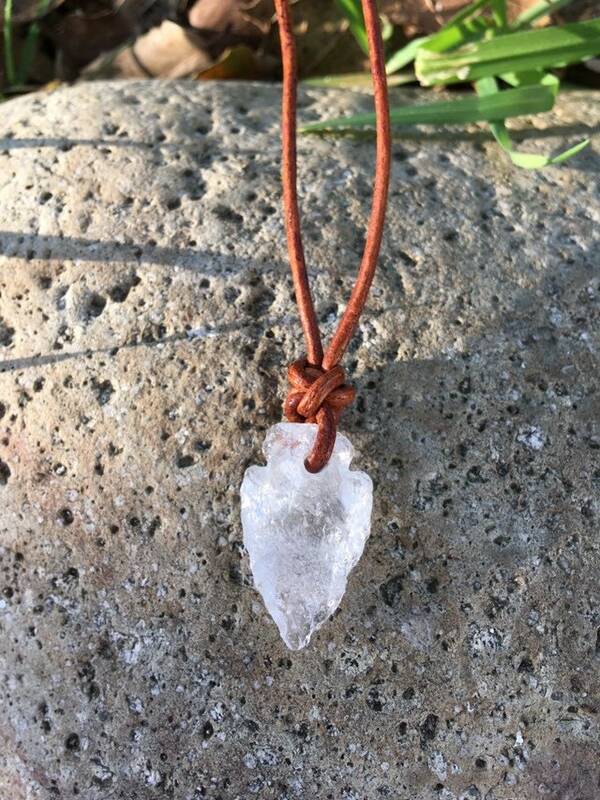 The necklace is on an 18" brown leather cord. It will wrapped in tissue paper, put in a box and mailed First Class in a bubble mailer.